I was not at all surprised to read a recent report issued by the Washington, DC-based "Trust for America's Health" estimating that community-based health programs aimed at diet, exercise, smoking and other known risk factors for developing chronic disease could save the nation a whopping $16 billion a year in health care costs. These potential savings not only have major economic implications, but would also translate into a healthier, happier and ultimately more productive society. 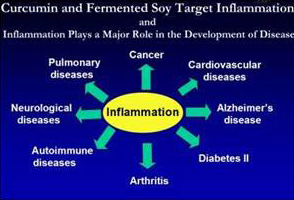 In my view, it's high time we shifted the biomedical paradigm from controlling symptoms to addressing their most fundamental, underlying cause----CHRONIC LOW GRADE INFLAMMATION--- and using this as the foundation to push ahead both at the governmental level and at the individual level for wellness-related programs to ward off chronic illness. Only then can we more effectively and economically manage common, chronic health challenges. Improving our health and curbing health care costs has emerged as not just a sensible idea, but a moral imperative.